Creative CBT Counselling: Creative CBT Comic #8: Psychic? 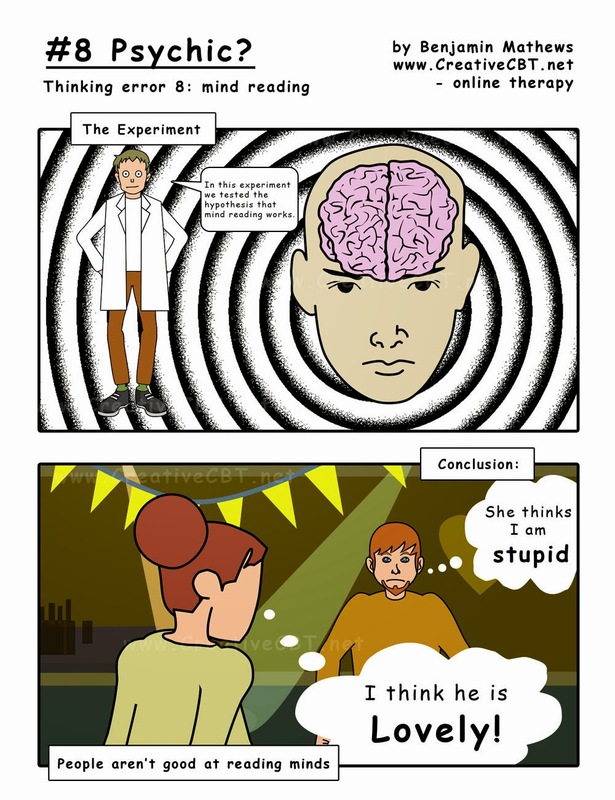 Creative CBT Comic #8: Psychic? This comic is based off of Aaron Beck's thinking error #8: mind reading. Sometimes we prevent ourselves from taking action or we judge ourselves based on what we think others are thinking. However, these assumptions about what others are thinking can be influenced by our own negative moods and beliefs. Furthermore assumptions over what others are thinking can worsen mood.